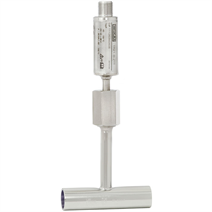 The model TR21-B resistance thermometer provides temperature measurement in sanitary applications and can be used for the measurement of liquid and gaseous media in the range of -30 ... +150 °C (-22 ... +302 °F). For application in hazardous areas, intrinsically safe versions are available. To integrate it into the process, the patented thermowell model TW61 (patent, property right applied for under no. DE 102010037994 and US 12 897.080) is directly orbitally welded into a pipeline. The connection ends are straight and prepared for orbital welding. 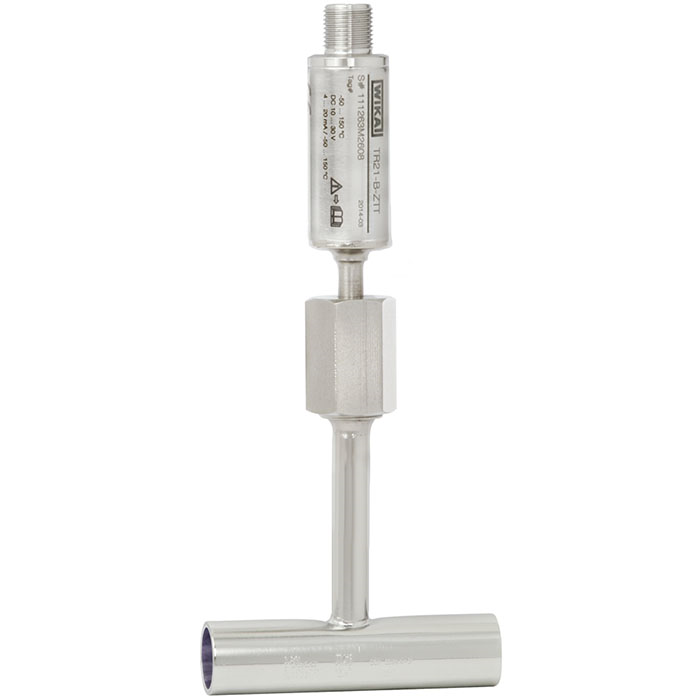 The process connections meet the stringent requirements, in terms of materials and design, of hygienic measuring points. All electrical components are protected against moisture (IP67 or IP69K).